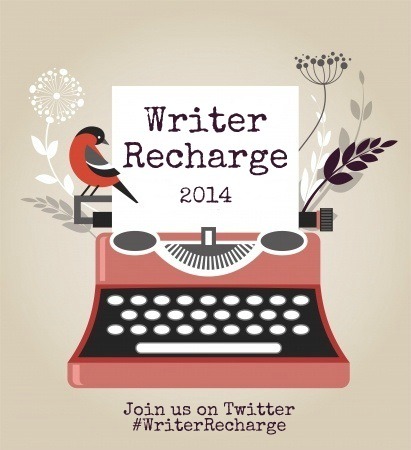 #WriterRecharge Update Two! : Drafting, revising and jogging..
How did I do during my second week? I´m still amazed by the on-going support: THANK YOU! I haven´t done as much as I wished this week. As most of you know, I announced my self-publishing adventure…I I took a bit of time to work on my Facebook page and made sure to reply to all amazing comments on my little blog, on Facebook, on Twitter or per email. Really, I´m so grateful! Here´s an excerpt of ALWAYS SECOND BEST. It´s in drafting mode, i.e. not yet edited. It´s the companion novel from ONE, TWO, THREE…and will come out in October 2014. I believe he always came first. “Come.” She pulls me into the kitchen and my mouth gapes open. There´s a guy there. In my kingdom. Sunday morning´s my time with Nonna. “You need to meet Lorenzo. His cannelloni are to die for.” Nonna winks at me. She´s either matchmaking me to yet another Italian American or he really is a good cook. Nonna only winks for love or for food. This excerpt is AWESOME. I can’t wait to read ONE TWO THREE again and I am super excited about this one too! Good luck with your goals this week, Elodie! You can do it! Thanks, Kip 🙂 So glad you enjoyed it 🙂 Looking forward to seeing you online! With the self-pub announcement, you deserve a break on the goals–or maybe you should incorporate that into your goals. Publicity and networking are important,too! Well done that you still managed to make progress amidst all the excitement. Perhaps not as much progress as you hoped, but it sounds like you’re doing well to me! four days of revisions or writing is great! Working out twice is also awesome. You’re making progress and that’s all that matters. Aww, this excerpt is so sweet! I’m such a sucker for grandparents in YA, especially when they’re as well-written as this. Also, as far as your goals go, it looks to me like you got TONS done. Way to go, lady! You had an amazing week. Hope this one’s just as good! So excited for ONE TWO THREE! And huzzah for working toward goals! Good for you for fitting in physical exercise along with the writing. Wait, wait, wait. I missed your big announcement! Sorry! I’ve been off the interwebs. But CONGRATS on self-pubbing!! That’s what I’m doing and I commend you for it 🙂 Also, I’m working on fitting exercise into my goals as well! Got lots of writing stuff done. I need to work on my FB page.